Sitting in a pub on a rainy November afternoon in Ireland a few years back, an elderly gentleman in a grey tweed jacket struck up a conversation with me about dreams. “I retired a few years ago,” he lamented. “Now, I come down here most afternoons for a pint or two…or three, if truth be told, and dream about things that could have been.” Intrigued, and loving the way the words roll through his thick Irish brogue, I encouraged him to continue. “If you could have only one dream still come true, what would it be?” His blue eyes twinkled, “Aye, lassie, that one is easy. I would buy a plane ticket and fly to New York City?” I was a little surprised. “Really?” He put his pint down and turned to me, “Aye. I would spend a few days in the city and then buy another ticket for a Greyhound bus that was bound for California. I would see a lot of your grand country along the way.” As I looked over at the bog burning in the stone hearth, I couldn’t help but think of the irony of our conversation. “Wow”, I said to him. “I am living one of my dreams sitting here in your country.” He picked up his pint and replied…..”Then you dream too small”. I do not dream small. I know what our country means to me, I’m just always surprised at what it means to outsiders. 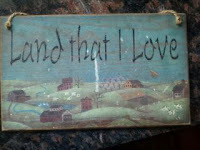 Right beneath my kitchen window and slightly above my skink, is a wooden plague that reads “Land that I love….” It has been there for years. I can’t even remember buying it. And still, I would never think of moving it. I know that we have our issues, but this country is still as good as it gets. Ten minutes of watching CNN will convince you of that. 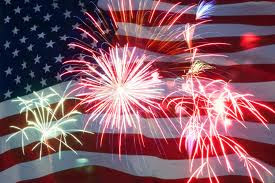 So, with Fourth of July just days away, I am preparing to head to the beach with my family in tow and celebrate with gusto the freedoms that we have been blessed with. 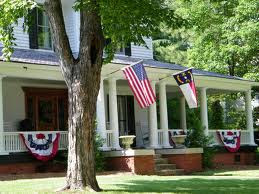 I will get goose bumps at the sight of white summer porches covered with waving American flags. 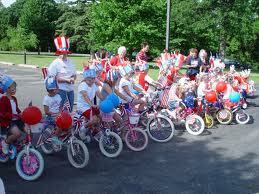 I will smile at the young kids who took hours to decorate their bikes for the parade. I will feel great pride and appreciation when our veteran soldiers march by. I will sit on the Jersey beach and watch the fireworks shoot into the sky over the dark ocean and dream of a day when the entire world will share in the freedoms that Americans have. And that a peacefulness like we've never known will surround us. See my Irish friend, I do dream big. Summer brings to light so many childhood memories. Running through the sprinkler under a scorching sun…..sipping Kool-Aid on the porch while waiting out an afternoon thunderstorm.…. capturing fire flies in a jar and watching them glow in the dark on the night stand by my bed….....endless hours of baseball with the neighborhood kids. These were the summers before central air conditioning. You played outside and stayed outside till long after the sun set. Something, strangely enough, I don’t see now in my own neighborhood which is loaded with young kids. Seemingly, air cooled houses, skin cancer threats and gaming technology have robbed today’s children of their right to bare arms under the summer sun. That being said, one of my favorite summer memories is of the annual family gathering that was held in our yard each July. We lived in, what was then known as the “country”. Four tree-studded acres of land with a running creek and our two horses housed nearby. At the time, a good portion of my Italian mother’s family still lived in Philadelphia, so a day in the country was a party to attend. Aunts, uncles, cousins and friends would descend upon our property loaded with pots of meatballs and sausage, crabs, mussels and corn. My Dad would cook up the hot dogs and hamburgers on a brick grill he fashioned and my mother prepared the salads. It was a good day. A day which inevitably ended with sparklers, cold watermelon and ice box cake. All you will need ! 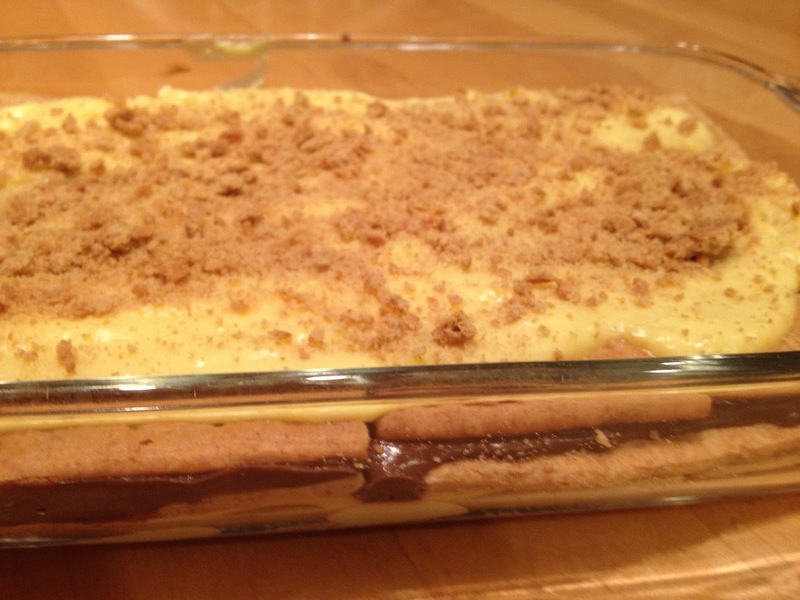 As you can see, this recipe has endless possibilities of variations. However, I have learned not to change a thing since I once used cinnamon flavored graham crackers and my oldest son stop just short of accusing me of treason. 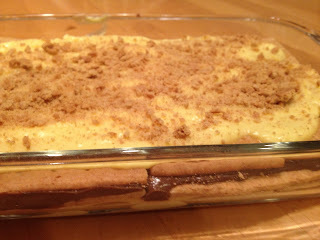 I don’t know where this recipe originated or I would gladly give credit. Maybe, back in the early fifties, some poor women in a nice dress and pearls (could be I’m visioning Donna Reed) was in desperate need of something with chocolate on a hot summer day. I only know that one bite, and I am transformed back to being a young bare-footed girl, porch sitting with her family on a warm July evening, thinking this is as good as it can get! A Father's Day Tribute........With A Twist! 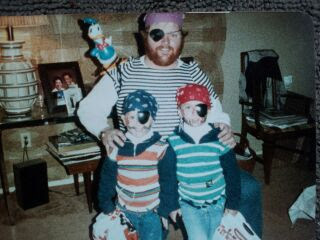 Dad and his boys as pirates..Donald Duck as a parrot! Sitting in the kitchen having coffee, my husband Mike turned to me and saaid, “With Father’s Day coming up, you should write a blog about your Dad. He was a real character”. It’s true. Bud was something else. Not all of what he said would be printable but I assure you, it would be memorable. Of the six children that he raised, I seemed to be the one who pushed his buttons the most. Maybe that was because in many ways, we were very much alike. We were great debaters, my father and I. I would often take the opposing view just to get him riled up. “I’m your father…if I say the sky is red, it’s red because I say it’s so.” And I would answer, “Ok, Dad, I’ll say its red, but it won’t change the fact that it is blue.” I would catch a faint smile on his face as he walked away. The thing about me that riled him the most was the very thing he loved. I actually worked him up to such a level of agitation one night that he came face to face with me and yelled “don’t you dare answer me when I’m asking you a question!” It was a true “Bud-ism” (and there were so many). I loved that man and writing about him for Father’s Day would be so easy, but it’s not the direction I’m going this week. Suggesting that I write about my Dad is so like the father of my sons. It is his nature not to draw attention to himself. He is rather quiet and apt to stay out of the spotlight. But in a large gathering, don’t confuse his lack of conversation with indifference. He is listening. Our private talks at home, where he is anything but quiet, tells me that he heard every word. He is a good man and a great Dad. And what makes it all so amazing is that he had no leads to follow in that department. 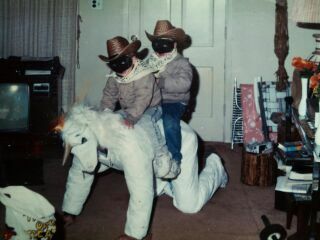 The boys as cowboys...Dad as their horse! 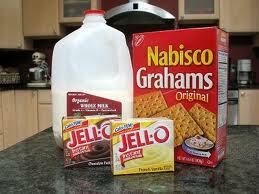 Mike’s biological father was non-existent in his life. He was nine years old when he met him for first time and the man addressed him as “Patrick”. If first impressions are truly lasting, this one really stuck. 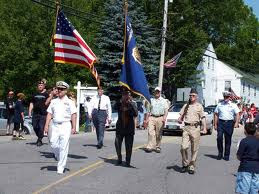 For the most part, he was raised by a physically and verbally abusive step-father that fortunately spent long periods of time at sea as a merchant marine. They were the good days for my husband, but when “it” (as Mike and his brothers called him) came home loaded with money and alcohol, everyone’s life became hell. Except for a grandfather that he saw occasionally, there wasn’t a positive male role model that he could attach himself to. As he grew into a man, Mike was determined not to follow the pattern of abuse that was heaped upon him as a child. When he first became a father, he confided in me that he probably wouldn’t be the strong disciplinarian type because he wasn’t sure where the line was drawn and didn’t want to hurt his boys the way he was hurt. Since I spent so much of the day with our sons, I had no problem setting the rules since there was still plenty of time left over to spoil them with love. It worked for us. And as the boys grew, Mike was finally able to view the life of a child who had a loving father. When he would lie down on the floor to watch TV, the boys would jump off their chairs and climb on him. The three of them would wrestle and laugh and I could see an expression wash over him that said “so this is what it was like”. Whether it was baseball, basketball or soccer, he coached most of the teams they played on. If he wasn’t coaching, he was in the stands cheering. It was never lost on him that he, himself was a pretty good athlete as a youngster, but with a working mother, there was never anyone in the stands rooting for him. That was not going to happen to his sons. He saw to it that we were both there, every step of the way. Our sons are men now, but great pride and love still shows on his face when one of their names is mentioned. This Father’s Day, the three of them will golf while I prepare our annual seafood feast. Later in the day, they will sit around the table picking lobster while trash talking about which of them played the better round. And at some point during the gathering, I will look across the table and receive a satisfactory wink from the man who fathered our children. The very same man who at one time was so worried about his ability to be a good father, his ability to set a good example. Well, you have done more than set a good example, Michael, you have set the bar. There is finally someone in the stands watching you....... and I couldn't be more proud. If you read Kitchen Clatter with any regularity, you know of my love for Jersey tomatoes. I love to drizzle them with olive oil and sprinkle on the salt. I love to slice them thinly and layer on bacon, lettuce and mayo. I love to sauté them and make homemade sauce for Sunday dinner. I love everything about them…..except planting them. I hate to garden. There is not much I like less than working in a garden. Be it flowers or vegetables, it doesn’t matter. I know most women enjoy this activity and I so wish that I was one of them. But I’m not. Then before you know it, comes that late spring Saturday morning where we go to the nursery and pick up our green beauties to bring home and plant. Mike wanders up and down the aisles, picking up the Romas, beefsteaks, plum and heirloom tomatoes, and intensely determines whether they go on the cart or back on the ground. I watch this ritual year after year and can’t honestly say what makes one plant better than the other. But he apparently does and I won’t argue with the results. 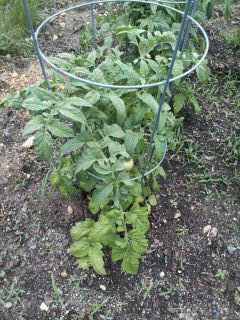 His tomatoes are simply the sweetest I taste each summer. The next tent we enter is dubbed the “house of heat”. Mike’s eyes actually start to glaze over at the thought of which plant will produce a sinus clearing, eye tearing, sweat bearing, brand of pepper that will explode in a pot of chili. Jalapenos and habaneros are for amateurs. He looks for pepper plants that come with warning signs, like “wash your hands before touching any part of your body after handling this pepper” Wow, a heat warning before you actually ingest it. At least the signs seem to be targeting their audience. After he makes his selections, he will eventually pick up a few bell pepper plants for me. (He makes me carry these so they are not seen with the “real” pepper plants on his cart.) But I’m okay with that because I have a passion for Italian sausage, pepper and onion sandwiches in the summer and I want to be able to touch anywhere, anything, anyplace on my body without reaching for a fire extinguisher before I cook it. By the end of the day, everything will have been planted and then the waiting begins. As the weeks go on and the garden grows, I start to acquire what I call my summer name....Someone. As in “someone should weed around the plants”, or “it hasn’t rained in a few days, someone should water the garden”. 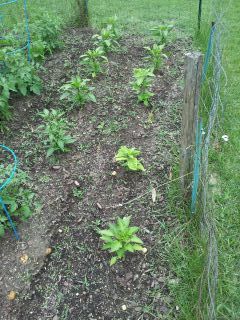 Watering is not bad, but weeding is right alongside gardening as things I least like to do. But I guess someone has to do it. Then somewhere in the beginning of July, the magic happens are we are picking tomatoes and peppers on a daily basis. One of our favorite summer treats is to strain a can of string beans, cut several cherry tomatoes in half, and add to a handful of diced Vidalia onions, a couple twirls of extra virgin olive oil, and a sprinkle of sea salt. Easy and delicious salad!